The Siege of Orgimmar and The Fall of Hellscream! Garrosh Hellscream has had it with his Horde (and they feel likewise.) He has made a pact with powers that are far mroe interesting to him and will make a NEW Horde, one far darker than anyone has seen before. It’s your job to see that that doesn’t happen. In Wrath of the Lich King, we rescued Valithria Dreamwalker. In Cataclysm, we had to contend with Chimaeron. Healers, if you were looking for a signature encounter for Mists of Pandaria, look no further than Malkorok. He’s a former member of the Blackrock orcs who swore allegiance to Garrosh and now acts as bodyguard, chief advisor, and leader of the Kor’kron. In fact, Malkorok is so loyal that he volunteered to be infused with the power of Y’Shaarj. 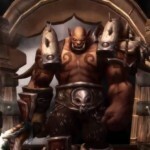 Read on to find out more about taking down this horde champion! There are changes coming to every class in Patch 5.4, including glyphs and abilities, as well as alterations to established mechanics like Vengeance. This is an excellent time to head over to the Public Test Realm patch notes to begin familiarizing yourself with what to expect when you log in on patch day. Do keep in mind however that the PTR notes aren’t final, and things could still change before the patch. Don’t forget to check out Ghostcrawler’s Dev Watercooler: Dissecting Patch 5.4 Class Changes, where the doughty crab drops some knowledge on the reasons behind the class updates you’ll be seeing. The most straightforward method of gearing up is by going to the Timeless Isle. 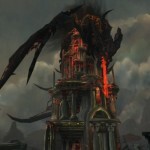 With the intro of the new Looking for Raid tool there have been some, ahem, concerns over the looting system. As expected, these are being attended to and Blizzard made some hot-fixes on Tues regarding this issue. Some items were reclassified, which may result in your sending a ticket to a GM. Click the link below for a list of those items. Also, the look rules of the Looking for Raid system were tweaked. Some items were recently reclassified. You may find yourself in possession of one of these items and are no longer able to use it. If this item replaced another and you need Game Master assistance to recover your old item, please place a petition with the new item name, that you can no long use it – and the old item name you need restored. The following are the items that have changed with new/changed class restrictions (LFR Versions).